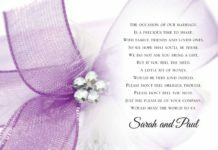 If you’re searching for pretty wedding stationery with a quirky or alternative twist your first stop should be Hip Hip Hooray. We’ve picked our favourite new designs for 2015 here – which one would work with your day? 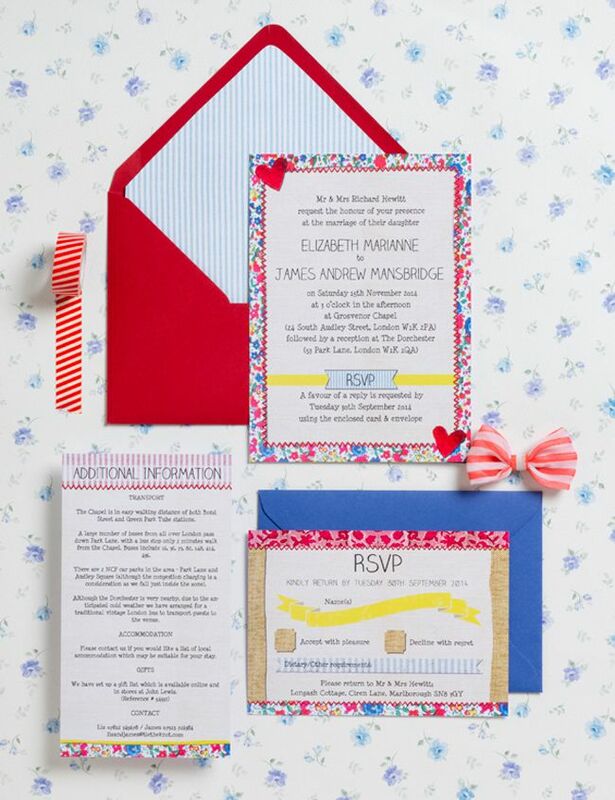 This home-sewn Country Fete wedding stationery collection would be perfect for a relaxed and fun loving wedding in the English countryside. 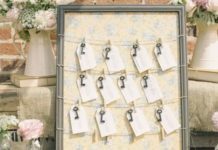 It has a rustic and vintage vibe that would complement a barn, village hall, marquee or outdoor venue, with bright florals, burlap and canvas textures to bring together all the other little details you’ve been so busy planning. If you’re having bunting, wild florals, bright colours, lots of homemade signs and even a hay bale or two, then the table stationery from this collection would go down a treat – you can even accessorise your place settings with fab free printable tags in the same theme. One of our favourite collections is the vintage-style Scrapbook range. If you’re going for an elegant vintage affair, then this is the design for you. 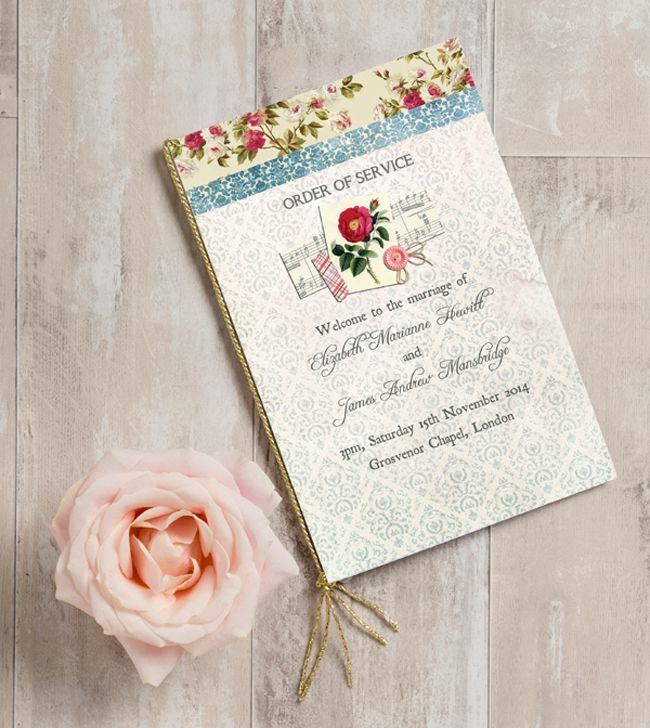 With soft pastel shades to bring out your bridesmaid dresses and recepetion décor, floral illustrations to complement vintage tea cups and pretty place settings, and lots of charming extra details to tie it all together, it’s vintage style at its best. This stationery collection works well in any wedding venue, but looks particularly great in a country house or formal hotel setting. If your stationery budget doesn’t stretch as far as you’d like, you can also order any of the Scrapbook collection as a DIY printable. 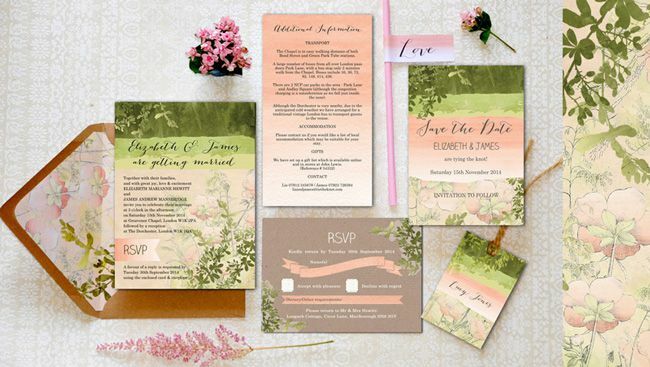 The beautiful and whimsical Wild Garden stationery collection captures the essence of the English countryside perfectly, and is a match made in heaven for a garden wedding. 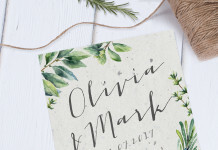 With a hand painted watercolour background, rustic floral illustrations and gorgeous calligraphy, it brings together many seasonal wedding trends and would work well for spring and summer time celebrations. If you’re going for effortless beauty, and understated elegance on your big day then this is a great option – we would love to see it paired with a hand painted ombré cake, overflowing hand picked florals and coral coloured bridesmaid dresses. 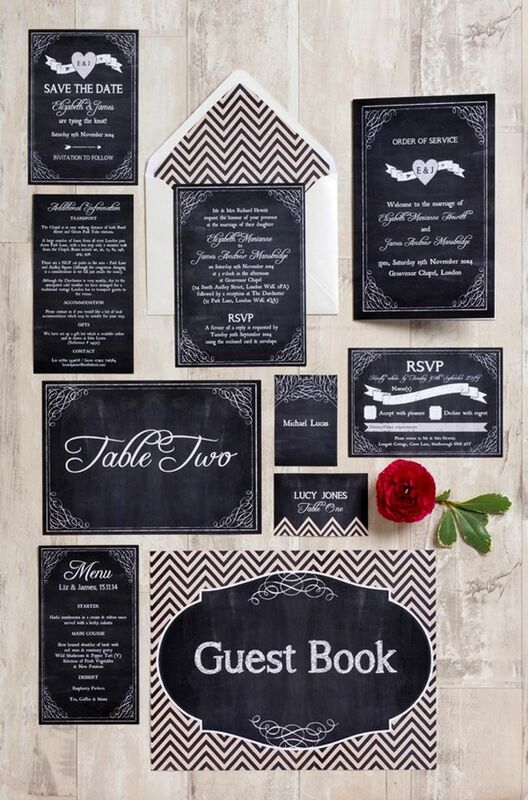 Perhaps the most versatile wedding stationery offering from Hip Hip Hooray is their Chalkboard collection – these statement designs work well with a variety of themes, from vintage, rustic and retro to preppy and pretty. The bold chalkboard table numbers and menus would stand out beautifully against bright floral centerpieces, and the free printable tags can be threaded with rustic twine and tied around favours or cutlery to form striking place settings. Whatever the colour scheme; whether you’re going for pastel perfection, rainbow brights or glam metallics, this collection will make your styling sing. There’s nothing quite as romantic or atmospheric as a winter wedding – and thankfully Hip Hip Hooray have designed a stationery collection to stand up to the occasion. The Winter Magic stationery collection includes everything you’ll need from Save the Dates all the way to your thank you cards. 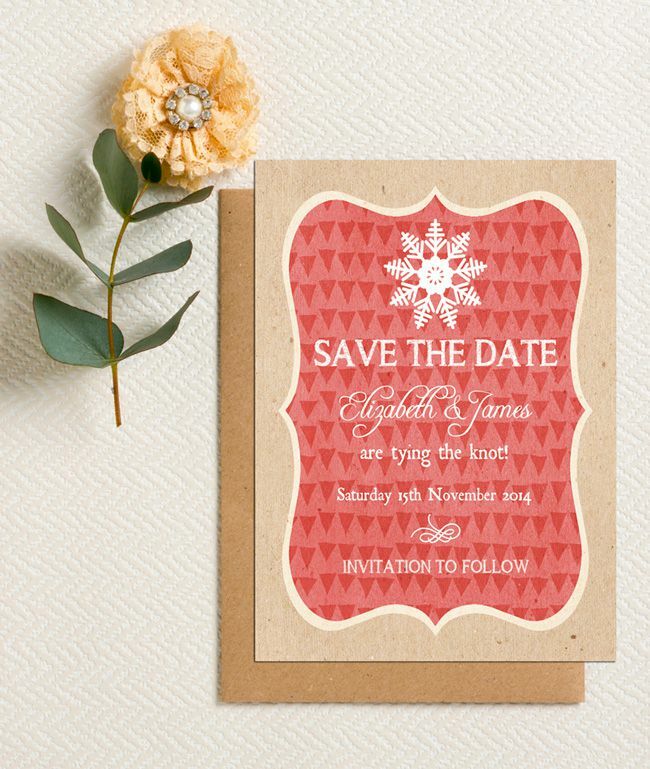 If you’re aiming to incorporate a rustic feel into your festive celebration, these designs deliver just that with a kraft background, wintry red and green textures and stamped snowflake details. Think pine cone table decorations, red berry centerpieces, and mulled wine and you’re almost there! 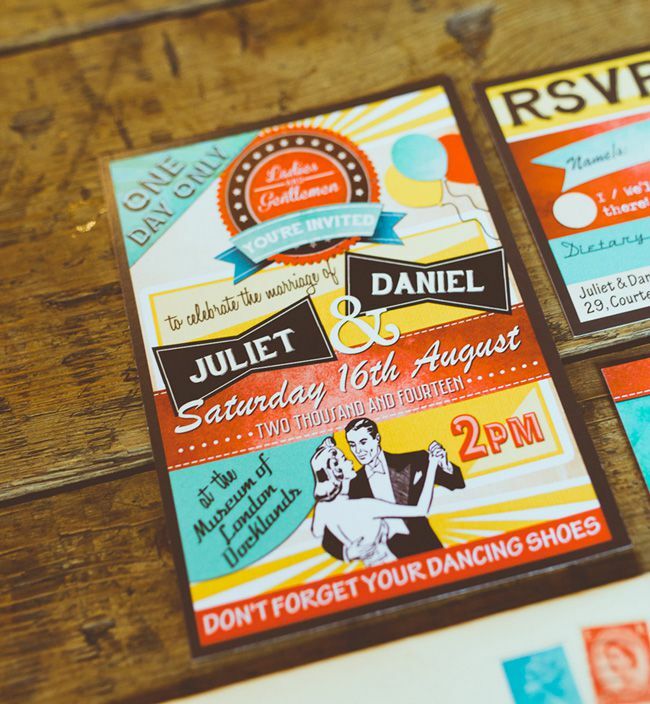 If quirky, fabulous and fun are words that sum up your big day, then look no further than the Retro Diner wedding stationery collection. With a bold and vibrant colour scheme of turquoise, yellow and red, vintage typography and retro illustrations – it doesn’t get much more memorable than this. To match this 50s-inspired theme, vintage-loving, unique couples looking to put on a great show will love going to town with pom pom décor, light up signs, giant balloons and even polka dot bridesmaid dresses. Why not go one step further and name your reception tables after retro movies, albums or icons?! Want more stationery ideas for the new year? Check out these top trend features here! Next article11 favourite wedding reception looks from our real brides!